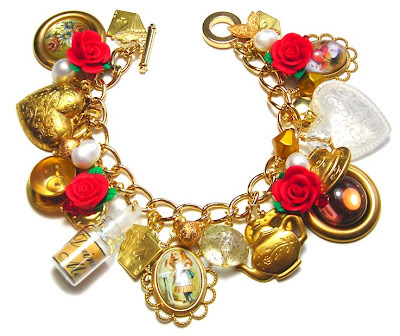 Another Alice in Wonderland charm bracelet creation! Should be on Etsy tomorrow (wednesday) with any luck! 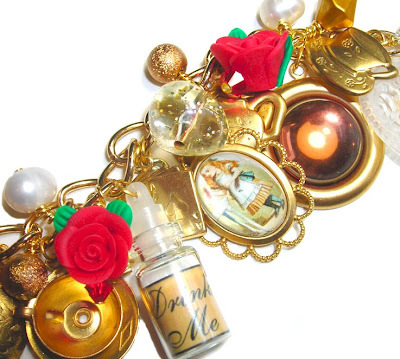 Now THAT's a charm bracelet! I have a box full of stuff that needs to find a home on something like that. Really funky idea.